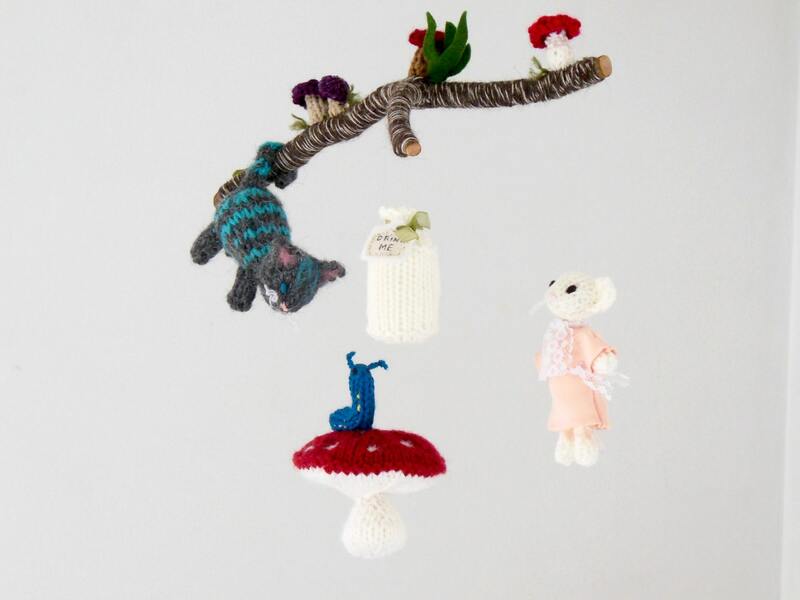 Delight your little one with colorful Alice in Wonderland baby mobile. 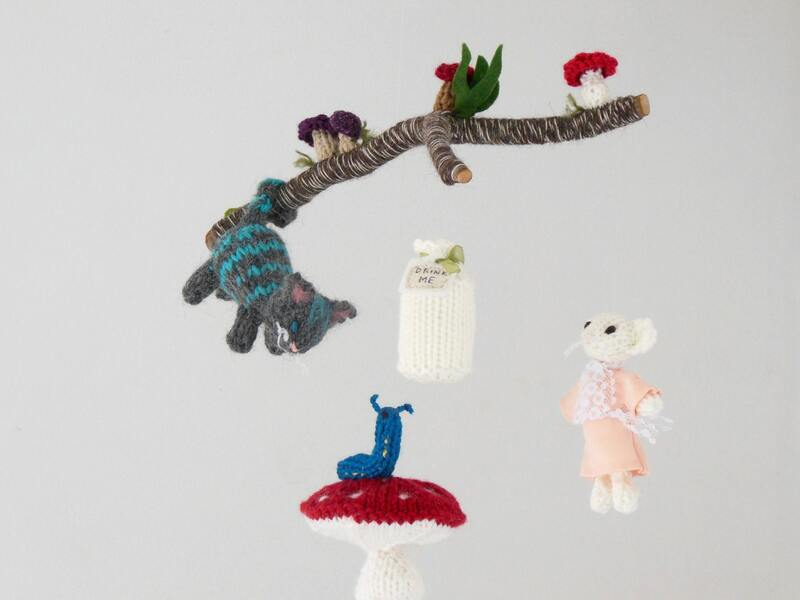 This nursery mobile highlights the Dormouse, Cheshire Cat, Absolem and colorful mushrooms and ferns add to the scene. 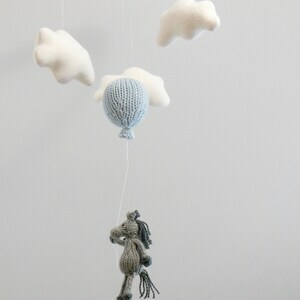 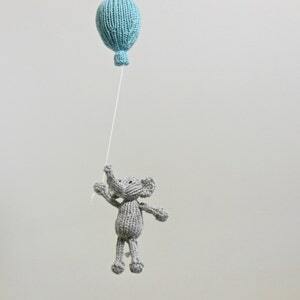 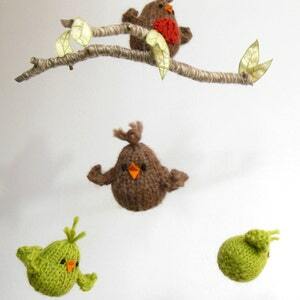 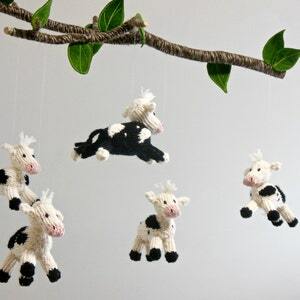 All elements of this mobile are made with natural and eco-friendly fibers (alpaca, wool, cotton, silk, wood). 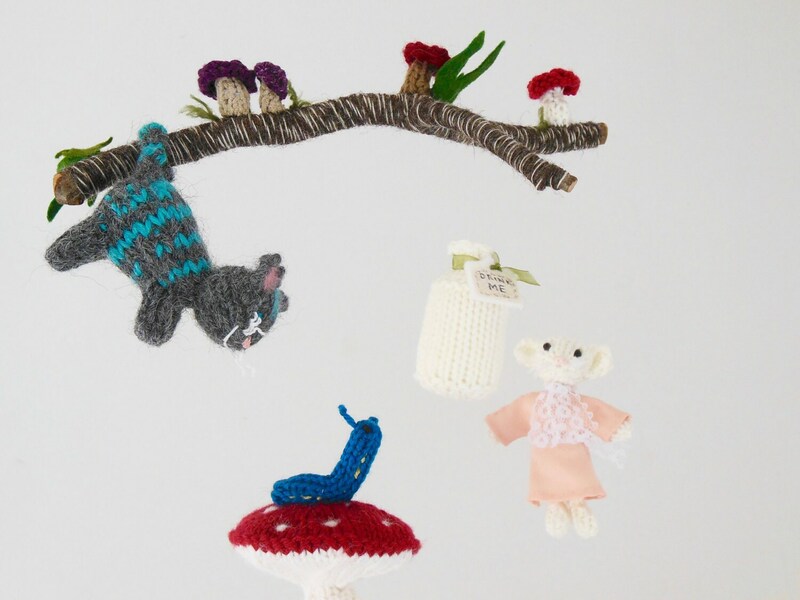 - Dormouse - wool, eco-stuffing, 5" tall approx. 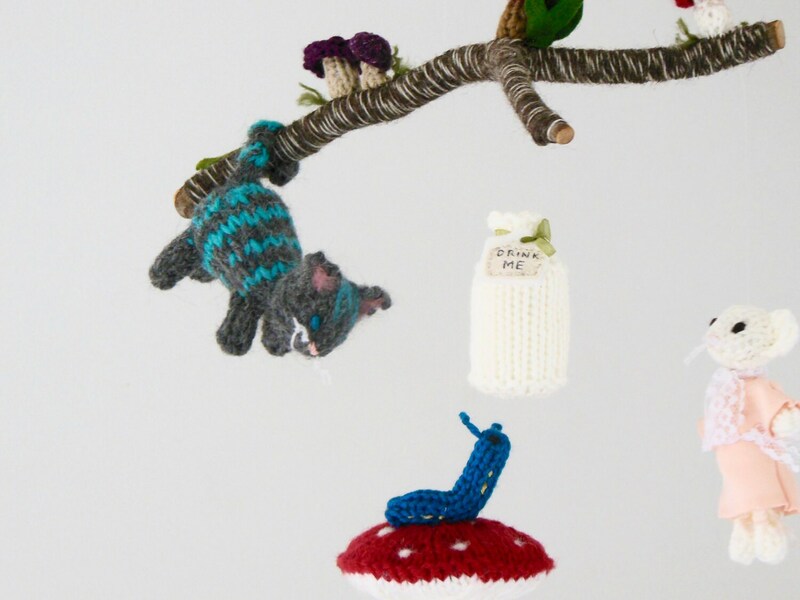 - Absolem and Mushroom - wool, eco-stuffing, cotton - height 4.5"